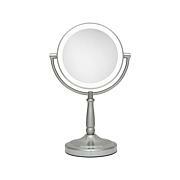 Impeccable makeup is more than possible with this large, dual-sided mirror. 1x and 5x magnifications allow you to see your whole face, as well as close-up details like your eyeliner, while adjustable fluorescent light gives you the perfect illumination you need. 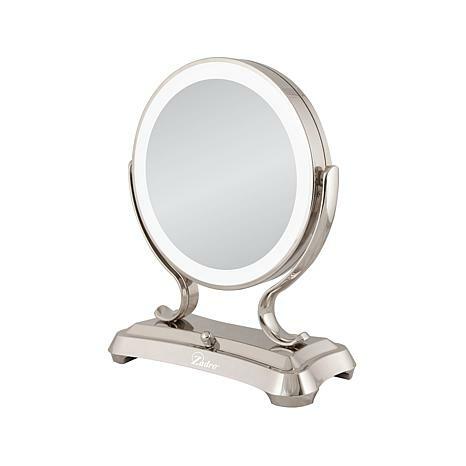 Give your look more professional results every day — it's so easy with this mirror on hand. 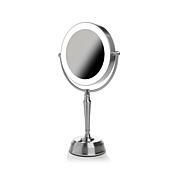 I have had quite a few makeup mirrors in my 50+ years but this one is head and shoulders above the rest. You could an airplane with this thing it is so bright. I love how the switch has a dimmer feature. AND, it's beautiful. I loved mine so much I bought my daughter one for Christmas. I love this mirror. 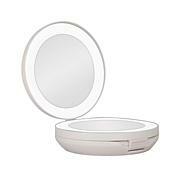 It looks great on my vanity and lighting is perfect. Worth the money! One of the nicest things I own. Worth every penny; I totally love it! 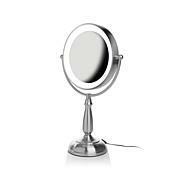 The BEST mirror Ive ever owned...I am so pleased with my purchase!!! I didnt know they made mirrors this incredible.